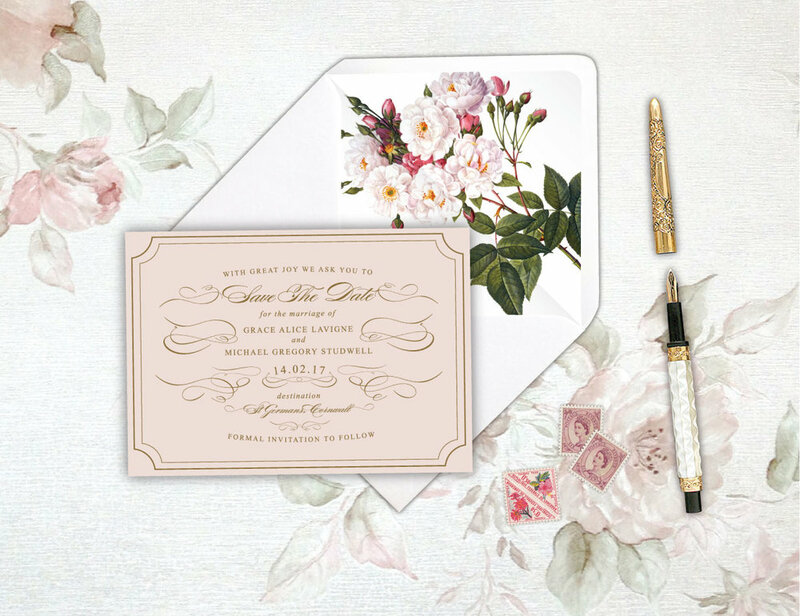 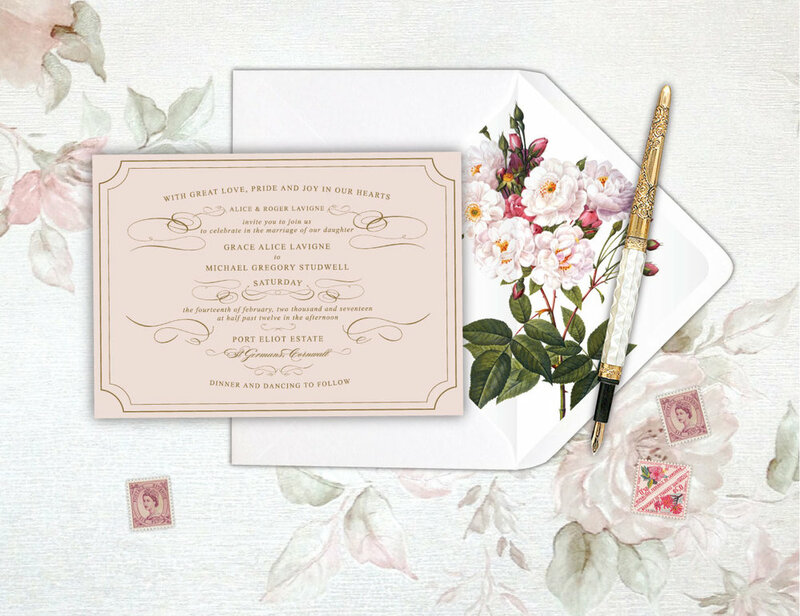 Grace is a classic modern vintage style invitation suite with elegantly decorative ornaments. 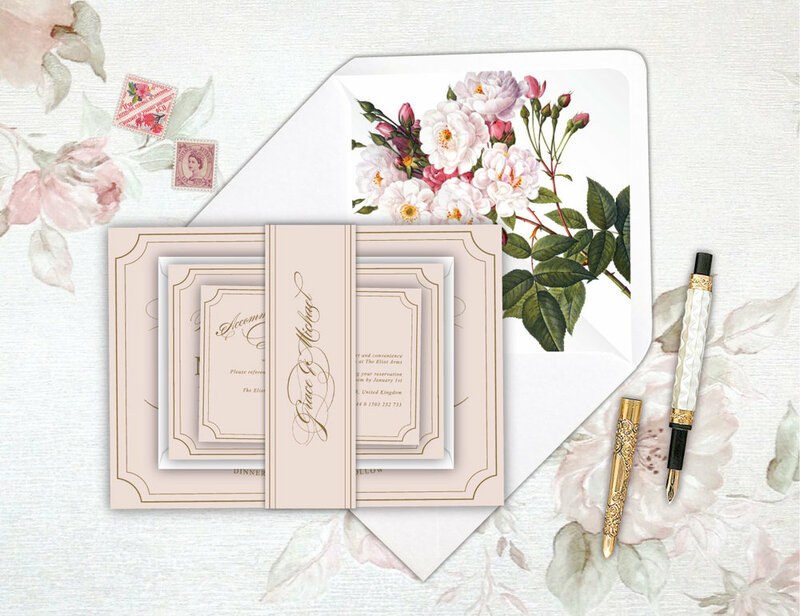 Classically polished with just the right amount of fancy this suite evokes the rustle of taffeta, crisp tuxedos and champagne on silver trays. 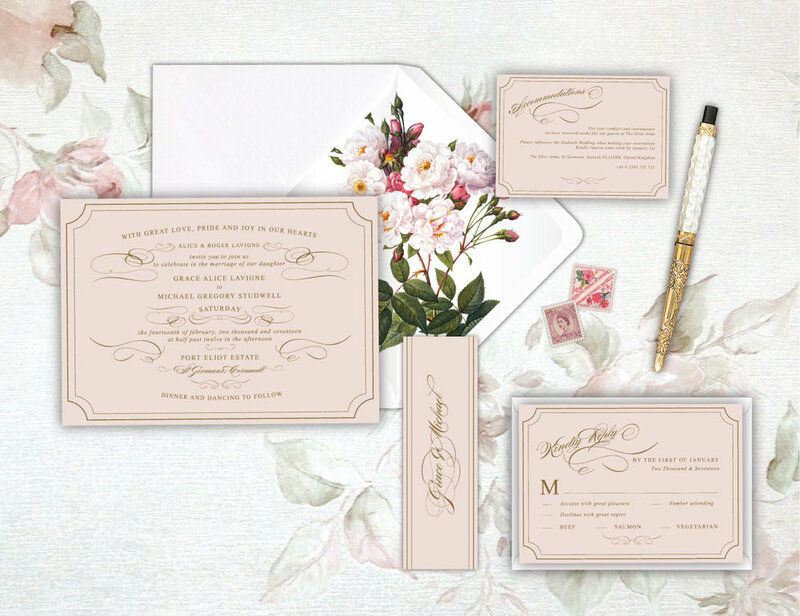 Paired with a floral envelope liner Grace is perfect for a traditional country house or stately home wedding.